MarinAire is US based company manufacturing marine air conditioning products with its headquarters and international distribution center based in Miami FL USA and manufacturing facilities in Guangdong province of China. It is a global provider of marine and geothermal heating, ventilation, and air-conditioning (HVAC) products. 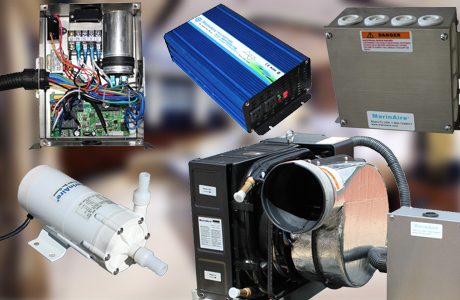 The company was founded in 2007 with focus on manufacturing marine HVAC products. 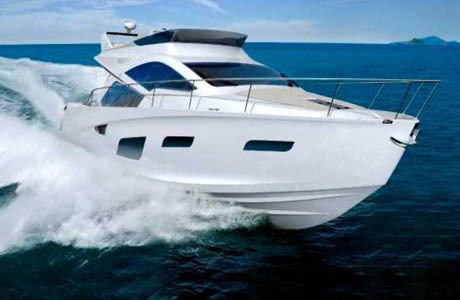 In addition to manufacturing, MarinAire is also involved in research and development activities for developing new technologies and inventions regarding marine air HVAC products. The manufacturing facility has presently more than 150 employees working in production, R&D, logistics, marketing and IT departments. After its establishment the company worked for 1.5 years on R&D and launched its MSA product line in 2008 and MSB second generation in 2010 then MSBA third generation in 2012. In 2011 MarinAire was awarded with “U.S. Commerce Associations’ Award Plaque Honors the Achievement”, an award Program that recognizes outstanding local businesses throughout the country and those who have achieved outstanding marketing success and enhanced the positive image through service to their customers and community. MarinAire utilizes RF ID technology to identify, track and record the specifics of every product on assembly line. The product passes through 8 step tests on assembly line before they are packaged. The manufacturing plant has 4 laboratories; 2 performance testing labs, 1 safety testing lab and 1 noise level & sound pressure testing lab. Highest quality of materials and components are used to build MarinAire products. MarinAire is the first company that built their units with sound shield and pressure gauges and humidistat.